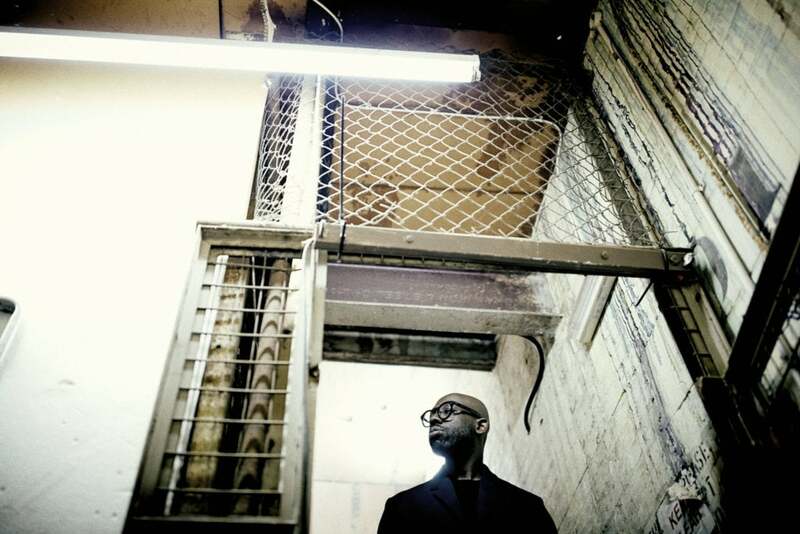 Tyrone Scott speaks to the twice Mercury-nominated artist Obaro Ejimiwe AKA Ghostpoet about his latest record and musical journey so far. The title of your latest album Dark Days + Canapes feels very apt for 2017. Yeah, I wanted it to reflect the times we are living in: a combination of dark days, dark times and disparity between the rich and the poor. Your lyrics are often socially and politically conscious. Do you consider yourself to be politically active? I think everybody has a political opinion but I don’t really allow that to infiltrate my work too much. I like the idea of being socially aware and trying to have conversations around various social issues through my music. I don’t really want to take a political stance publicly because it’s such a dividing thing; I’d rather talk about stuff that we are all affected by or at least talking about. I feel that’s a better use of my music. With this being your fourth album, how do you feel the Ghostpoet sound has evolved since your debut Peanut Butter Blues & Melancholy Jam? Life has evolved my sound, I guess. I’ve consumed more music and developed a clearer idea of what I want to use musically. Time has allowed me to be more comfortable and a bit more confident in my music, so I’ve acted in accordance with that. Do you feel that as you have found that added confidence it has become easier to express yourself freely? Maybe a little but I have always been able to express myself quite freely, so I am not sure too much has changed in that respect. I’ve always had the attitude that I have to make music that I want to make, and this record is proof of that. Is it fair to say that you were a bit of a late-comer to making music? Yeah, I have always been an avid listener but didn’t start making music until I was in university, so about 18 or 19-years-old. I didn’t actually release a record until I was 27 so I was a late bloomer, so to speak. I have always been a massive fan of music; even now I still feel I am more of a fan of music than an actual musician. I love music: hence why I’m trying to start a radio station, hence why I’m trying to always promote and support other artists as much as I can. Could you have envisioned such success when you were making music in your university halls? No, but I don’t know what success is! [Laughs] It’s really nice that I have had the chance to travel so much through my music, amazing really. But, I dunno, success is all relative. I am very happy I am able to make music and very happy that I can make music I want to make, which is becoming a rarer thing with professional music. But yeah, I never envisioned this, doing a lot of things off the back of starting a music career which I would have never envisioned. It is nice to have this career and I don’t take it for granted, I feel very lucky. Can you tell me more about the radio station you mentioned? Yeah, I am starting an online radio station in Margate, where I now live. Basically, I have just taken on a space where it’s going to be an online radio station, a café and a bar in the evening; it’s going to evolve with DJs and musicians who live in or are travelling through Margate. Like a big collective, creative space? Yeah, that’s the plan. I want to do workshops, collaborations with local schools and colleges. We have the Turner Contemporary down here, I’d like to work with them and other organisations where I can do as much as possible involving music and the arts really. There’ll be talk radio too, discussing community projects, local issues and stuff like that. It’s a combination of things, it’s kind of been a dream of mine for a long time and I’ve just got a chance to try it here. I noticed there are significantly fewer featured artists on the latest record compared to previous releases. Was this a conscious decision? I guess it was a conscious decision, apart from Daddy G and EERI who do the main featured bits. Charlotte Hatherley who used to be in Ash did a couple of vocals, but just like background stuff. Delilah Holliday from Skinny Girl Diet and Charlie Steen from Shame also contributed, but again were used in the background. I kind of felt like I didn’t really want to have too many prominent voices and just wanted to add a few textures to compliment the music really. You never confine yourself to a single genre. Is change and variation something essential to your process? I’ve always had the attitude that genre doesn’t exist really. It’s kind of a marketing tool. I understand the purpose of genres and why they exist, but for me it’s all sound. I just try to make music which respects and reflects what I listen to, which is pretty much everything. Nobody wants to hear the same thing over and over again anyway. Ghost Poet plays Plug on Sunday 29th October, head to www.the-plug.com for tickets and more info.